Bryant Jennings and Oscar Rivas meet in an ESPN+ main event. 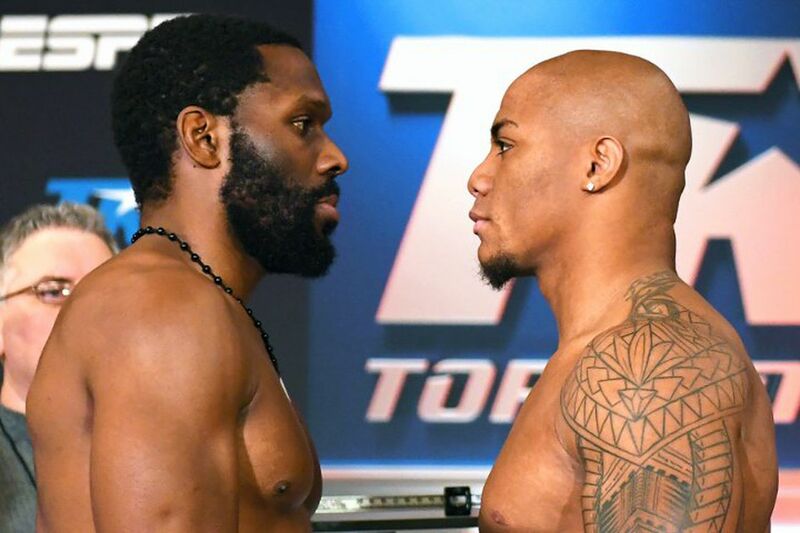 Tonight at 9:30 pm ET streaming live on ESPN+, heavyweights Bryant Jennings and Oscar Rivas go head-to-head in the main event from Verona, New York. Jennings (24-2, 14 KO) has won five straight since a pair of losses to Wladimir Klitschko and Luis Ortiz in 2015, and is looking to solidify himself again as a legitimate contender. The Philadelphia native has to get through unbeaten Rivas (25-0, 17 KO) first. Rivas, a Colombian now based in Quebec, was a 2008 Olympian for Colombia. This is a big fight for both, as Jennings is looking to get back to where he was, and Rivas is aiming to stay unbeaten and put himself in position for a potential bigger fight later this year. Featherweight prospect Shakur Stevenson (9-0, 5 KO) is also back tonight, as he returns to take on Filipino fighter Jessie Cris Rosales (22-1-1, 10 KO) in a fight scheduled for 10 rounds. The last time Rosales stepped up, he was knocked out in two by Jhonny Gonzalez. Who has the better homefield advantage: Chiefs or Saints?